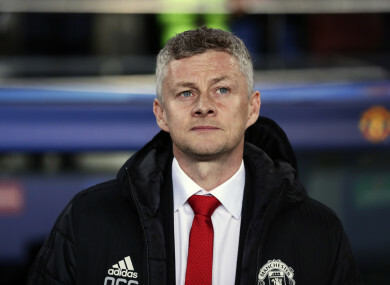 Manchester United coach Ole Gunnar Solskjaer (file pic). “We’re on with the job and we’ve spoken to the players as well,” he said. ”We need to get the best out of each other and create an environment of top, top, top-class, world-class attitude every day, because I know I’ve got good players to work. He’s an exceptional talent,” Solskjaer said. ”Him and Cristiano [Ronaldo] have been the best players in the world in the last decade. He showed why we think that, why he’s won so many titles. You can prepare all you like but if you give him space and time around the goal, he’s going to create chances and score goals. Email “Solskjaer suggests Manchester United are 'years' behind Barcelona”. Feedback on “Solskjaer suggests Manchester United are 'years' behind Barcelona”.